Looking to get your kid up and pedalling this summer? Then sign them up for a Pedalheads Summer Bike Camp! 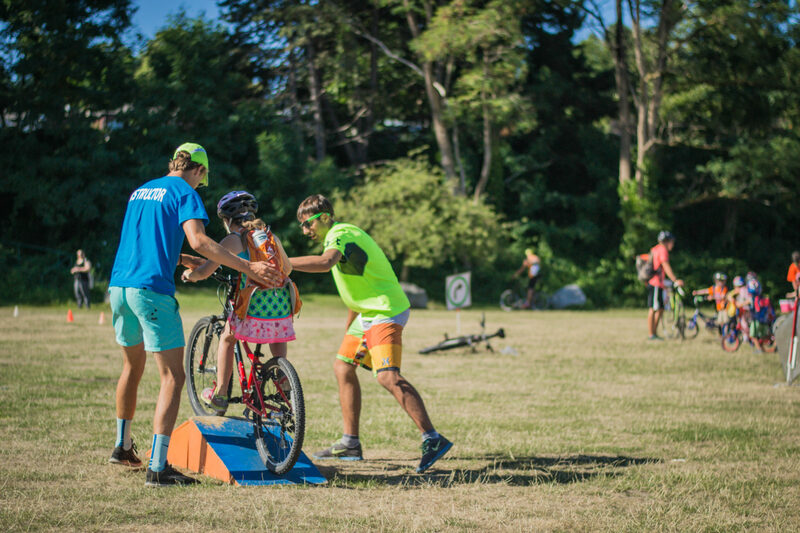 We chatted with Pedalheads about their amazing (and proven) kids camps where kids learn to bike or improve their existing skills and confidence. PS: The kids will not only come home feeling proud, but they’ll have an active week of fun too. Give us a brief description of your camp. Pedalheads offers learn to ride bike camps for kids aged 2 to 12 – everything from getting the little ones going on their balance/run bikes, to taking off training wheels and teaching kids to ride independently on two wheels, to upper level classes and actually teaching your children how to ride safely on the road. PHMB is the mountain biking portion of Pedalheads for kids aged 4 -15 – a perfect chance for those youngsters not old enough for the road to practice their trail riding skills (offered in Point Grey, Coquitlam and North Vancouver). Pedalheads Sports is a multi-sport camp with a superhero twist for kids aged 4 – 8 – campers will work on skills from archery, to throwing and catching, even to climbing! Pedalheads runs half day, combo camps and full day camps throughout the summer at locations all over Greater Vancouver. We also offer swimming lessons and camps yea round in Vancouver and Burnaby! What makes your camp unique? Where do we start?! We will teach your child life skills – including how to ride their bike! We see it all the time, parents drop their child off with a clunky training wheel laden bike and come back to pick up a training wheel free bike and an independent, ecstatic rider! Letting go and helping your child ride for the first time is something we call the “Pedalheads Moment” and it never gets old for us. Please, let us take the stress out of teaching your child to ride so you can enjoy those family summer bike rides together. Or try out a Pedalheads Sports camp or hit the trails at a Mountain Biking camp for ages 4 and up. What are 2 highlights of your camp, something the kids will talk about after camp is over. Their accomplishments – small or large! Kids leave Pedalheads SO proud of themselves and more confident too! Whether they took off their training wheels and learned to ride on their own, mastered their hand signals or went on their first road ride – we celebrate your child and their achievements at Pedalheads. Kids also love the last day of camp where they get to decorate their bikes and star in a bike parade to showcase their new skills – super fun for the campers and, of course, their excited parents too! At Pedalheads Sports, on the last day, kids will demonstrate their newly learned skills in a Superhero Rescue Race to ending with rescuing their favourite toy! What will kids learn at your camp? Not only will kids learn lifelong skills like how to ride a bike or how to swim with us, but Pedalheads also focuses on helping develop healthy, confident and independent children. Whether kids learn to bike or swim with us, we want them to leave our camps feeling great about themselves and what they have learned! Pedalheads focuses on developing healthy, confident and independent kids through bike camps, multi-sport camps, mountain biking programs and swimming lessons. Programs are aimed at kids 2-12 and offer small classes and exceptional instructors. These week long camps are offered as either one hour, half day or full day options with before and after care add-ons available – swimming lessons are also available in once a week sessions. In addition, our bike camps, multi-sport camps and swimming lessons can be combined for the ultimate combo camp experience. Summer Camp Registration is open – get your kids off their training wheels and register at www.pedalheads.com or call 1-604-874-6464.